Thomas Mosely Cook was born in Duluth on July 5, 1930. His parents were Emanuel S. and Fern J. Cook, and they resided at 2321 East Eighth Street. Tommy had an older sister, Nancy, born on October 6, 1927. The Cook family had been pioneer merchants in Duluth. Tommy’s grandfather, Moses Cook, came to town about 1891 and established the M. Cook & Sons clothing store, first located on South Lake Avenue and later moved to 400 West Superior Street. Tommy’s father and uncle Norman both worked in the store. Tommy’s parents moved the family to Los Angeles around 1936 because of Emanuel’s health. It was there that Tommy’s mother encouraged him to get involved in acting, and he eventually gained entry into the famous Pasadena Playhouse. His first movie role was as Little Beaver in the twelve-part serial The Adventures of Red Ryder. 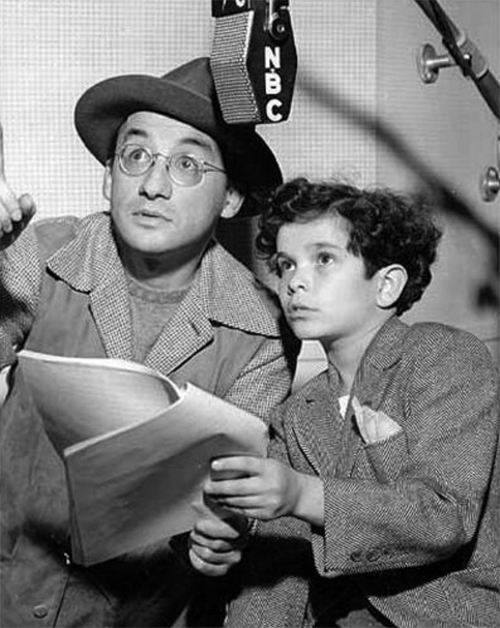 Tommy also filled the Little Beaver role in the radio version of Red Ryder from 1942-1945. Child actor Robert Blake also played the Little Beaver part at one time. Tommy appeared in nearly 100 films and television shows during his career, sometimes credited, sometimes not. His most notable film roles were in Good Luck, Mr. Yates (1943); Hi, Buddy (1943); Tarzan and the Leopard Woman (1946), as Kimba, the Leopard Boy; American Guerilla in the Philippines (1950); and Teen-Age Crime Wave (1955). Although he appeared in television roles throughout the 1960s and 1970s, his acting career faded as he grew up. An excellent tennis player, Tommy developed careers as a tennis pro and an organizer of celebrity charity events. Tommy’s father died in Los Angeles on December 28, 1957. His mother lived to be 100, dying on April 5, 2001, in Los Angeles.